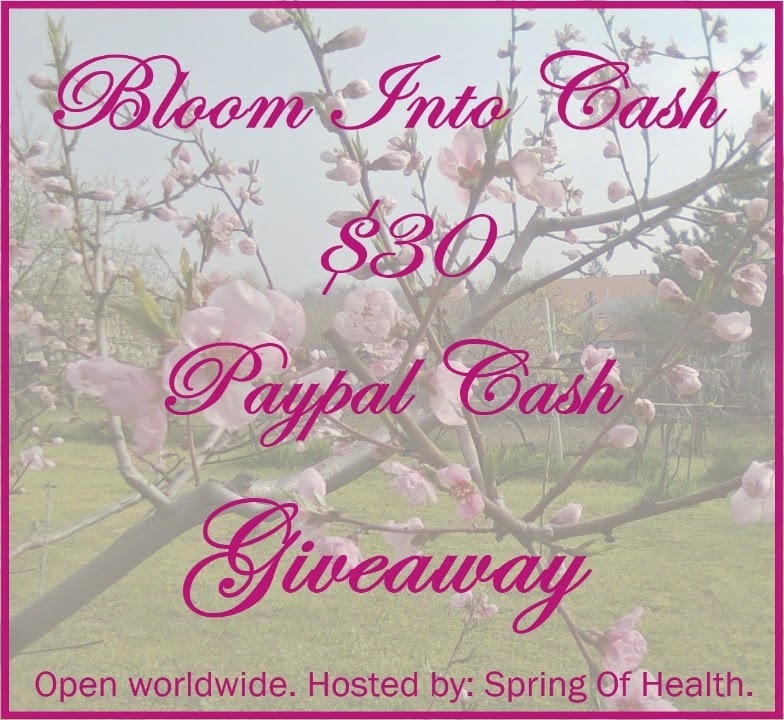 On this occasion, Spring Of Health, together with a bouquet of amazing bloggers brings you this awesome giveaway, where one lucky reader can win $30 PayPal Cash. 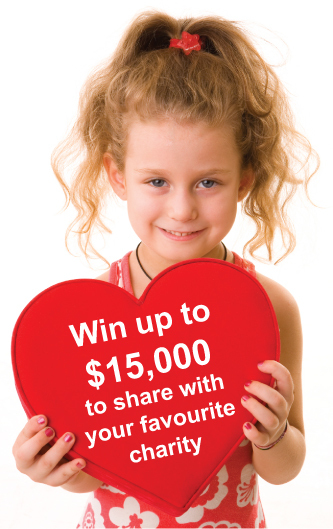 To be in a chance of winning, please use the Giveaway Tools widget below and collect points by fulfilling the tasks. You MUST complete the mandatory task(s) to be eligible to win. The giveaway ends on 4/30/2014 10:00 pm EST. Open worldwide, as long as you can legally enter. You must be 18 or older to participate and you MUST have a valid PayPal account. Winner will be selected at random via Giveaway Tools and will be notified in email (please add thespringofhealth@gmail.com to your email contacts, so you won't miss the winner announcement). You'll have 48 hours to respond, or a new winner will be chosen. Disclosure: This giveaway is in no way associated with Facebook, Twitter, Pinterest, Giveaway Tools, or any other entity. This giveaway was organized and coordinated by Spring Of Health. If you'd run your giveaway with us, contact us here. My favorite thing about Spring is Easter! I love when all of cherry blossom trees are in bloom. They look and smell so pretty! Going outdoors without having to put on a long, heavy coat! Having a fire pit in the backyard! The color of new tree buds ans flowering trees. I love the fantastic weather of Spring. I love seeing the snow melt finally and to see colour coming back into the world! My favorite thing about spring is watching the first buds and blooms on the trees and bushes. I am so antsy after the long cold winter to see some green. I love that the snow & cold temps are finally gone!!! I love the smell of fresh spring air. I love to see the flowers blooming! My favorite thing is wearing sandals! Being able to work out in my garden again! Our Flowers that are just starting to bloom. My favorite thing about spring is definitely the flowers! My favorite thing about spring is warm weather. And I can ride a bike!!! Everything is green and the flowers are blooming. the warmer weather so we can go outside more often! I love taking my daughter to the park and carnivals. The cool weather where it is not too hot, not too cold. It allows me to easily take my boys to the park and spend more time with them outside. My favorite thing about spring is the perfect weather and the blooming flowers. I love that it's the start of softball season. It give us something to do on the weekends and it's a blast watching my daughter out there on the field. Thank you! My favorite thin about Spring are the flowers. Getting the veggie garden going. swimming, walking, biking, parks, theme parks, water parks, BBQ's, picnic's, family time! I love the new life all around. I love that the snow melts and the sun comes out. The change from white to green...my favourite colour! I love flowers and the weather. One of my favorite things about spring is the cherry blossoms. Thank you! My favorite thing is it's warm enough to go fishing. My favorite thing about spring is enjoying warm weather and plant my flowers. The pretty flowers and warmer weather. I love seeing the first bits of green grass starting to grow up out of all the brown stuff! I love the warmer weather and the pretty flowers blooming. I love being able to get back to metal detecting. Thanks for the chance. my favorite thing is the flowers and warm weather. My favorite thing about spring is being able to work in the garden more. My favorite thing about spring is the weather, and seeing everything in bloom! Flowers and I love the smell right after a nice spring shower! I have flower pots on my balcony. They're blooming! I love this time of year. I love that the weather is perfect for going to the park and working in the garden. The start of baseball season is my favorite thing about spring. i love the warmer weather when spring arrives. i hate winter. The sight and scent of flowers blooming! What SPRINGS to mind are flowers, sunshine, things growing and baby animals! I love the feeling of not freezing. Plus all the flowers in bloom is so nice to see and smell! Opening the windows and sweater weather are my fave things about spring. I love the small time that the cherry and bradford pears bloom. It's beautiful. What I love most about spring is: The smell in the air of flowers and the beautiful weather. My favorite thing about spring is smelling the lilacs when they bloom. White are nice, purple are best. i love the snow being gone! I love the flowers in bloom. My favorite thing about spring is when it gets warm enough to go outside in just a t-shirt - there's just something wonderful about walking outside without having to bundle up first. Thanks for the giveaway…love being able to plan, prepare, & plant our flower / vegetable garden when Spring arrives !